My cousin did a fun painting of the pooches! She has been asked to illustrate a kid’s book about a kittycat. 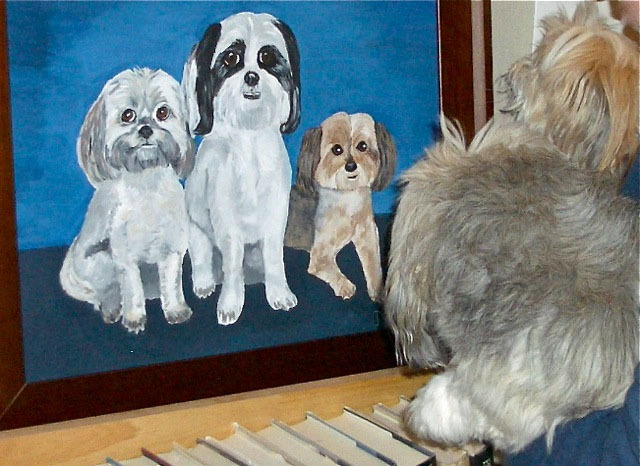 Her animal paintings will really appeal to children. Her day job: she’s an RN in the OB unit of a women’s hospital, helping moms who are facing critical pregnancies through labor and birthing. 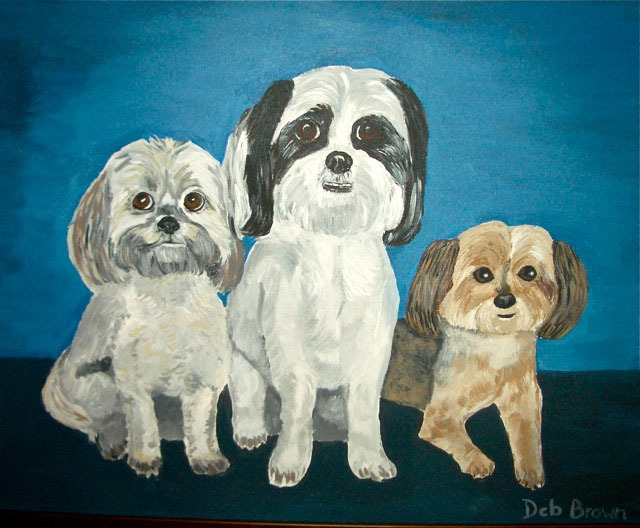 Deb paints and is an avid kayaker, outdoorswoman! I tease her and ask where she got her genes!